If you are in competitive sports, having brands sponsoring you goes to show that you are credible and organisations are willing to take a chance on you. It helps in building your individual brand or the standing of your team if a brand is sponsoring a whole team. If you are struggling financially, or your team is not doing too well making money, one of the role of sponsors is giving you financial support that enables you to buy sportswear and equipment. They can also pay for your training and invest in activities that make you a better sportsman. There are sponsors who decide to sponsor a team or individuals for several years. One role of sponsors that most teams and individuals appreciate is how it grows careers and puts the players into the limelight where other people are able to recognize them. This is especially true for people who get sponsorship from big brands such as Nike, Adidas and internationally acclaimed brands. 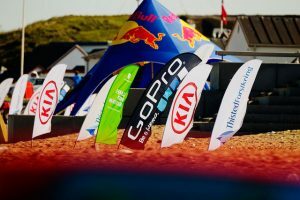 Once you get sponsorship from a recognizable brand, other companies will also start developing an interest, especially if you represented your sponsors well. Once you have brands showing an interest you or your team, you are in the right direction. The role of sponsors is to bring more people together and in the case of sports sponsorship, the benefit is to ensure as many people as possible can view the brand and associate with it.